We will have farm fresh turkeys available for Christmas in 2015. The turkeys are being raised on pasture (as long as weather remains favourable) and are fed a non-GMO, antibiotic-free diet. The turkeys are being processed on December 22nd, and will be available for pick up/Delivery FRESH that evening or December 23rd. The turkeys have free access to food and pasture and can run around as much as they like. We are a small farm raising a small flock of turkeys…for these reasons, we can not guarantee a specific weight of birds. Our turkeys have ranged in size from 12 lbs (on the small side) to 30 lbs in the past (on the large size) with average being somewhere around 18 lbs. 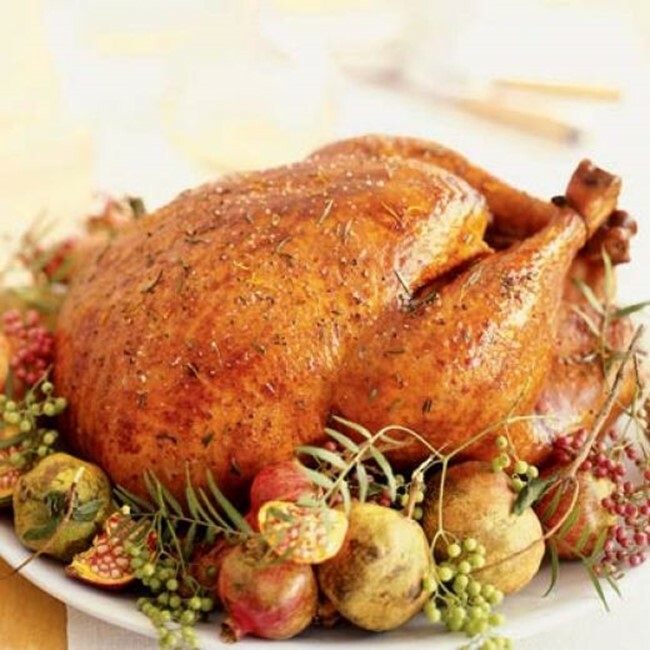 The price for turkey is $4/lb and we will be offering pick up in Walters Falls as well as delivery into Toronto. Please make your turkey reservation using the following form. As long as the form is live, we have turkeys available. We will be in touch in December to arrange the pick up/delivery of your bird.